ASP.NET Organization Chart Component - Unifosys Chart4.NET. Comprehensive and easy-configurable component. It is an automatic-drawing and dynamic (interactive) charting component. ASP.NET Organization Chart Component - Unifosys Chart4.NET. Comprehensive and easy-configurable component. It is an automatic-drawing and dynamic (interactive) charting component. Supports unlimited number of chart nodes and levels. Special features to support large organization charts. Major Features of Chart4.NET Hierarchy Chart Control: # Winform and Webform controls. 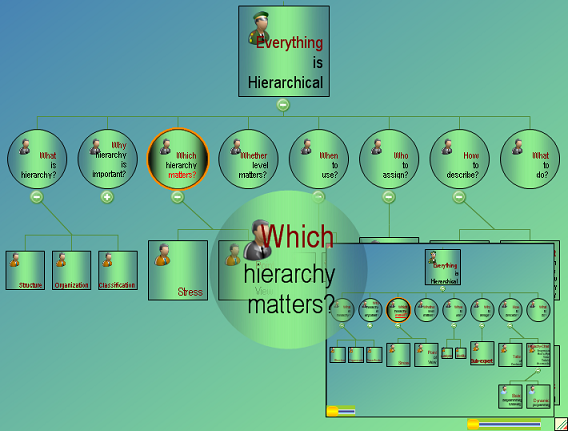 # Quickly turn TreeView or TreeNodeCollection into Hierarchy Chart. # Automatic node positioning with layout options. # Automatic Subcharts. # Runtime resizable and movable charts for Winform and Webform. # Rich tooltips # Zoom and Preview. # Events support. # Drilldown and hyperlinking. # 3D chart and shaded charts. # Chart orientations. # Search. # Import from XML, any database/DBMS, datatable or array. # Export chart to different image formats like BMP, GIF, JPEG, PNG etc. # A lot of customization options for chart and nodes. Other features include: # Designer support for customizing the look and feel. # Easy specification of chart data - Assign a treeview or provide a database tablename and column names. # Import chart data from XML, any database/DBMS, datatable or array. Assign a treeview control (winform and webform), to chart it. # Node title and as many lines of hyperlinked text (separated by ), in the node text property. # Alignment (Horizontal and vertical), margin and formatting for title, text, tag and photo. # Expand and Collapse buttons for nodes, to get a better view of chart-parts. # Photos for individual nodes, common for each level of nodes, or all nodes of the chart. # Focus rectangle and transparent fill focus. # Drilldown for the node (web control) and hyperlinking and node items (win control) # Custom brush, image and gradient background for chart and nodes. # Custom brush, font and color for node title, node text and node tag. # Configurable node-size for large charts. See www.chart4.net for full set of features. SRPSAGGLibEngine is wrap of Anti-Grain Geomet, which provides simple interface for developer. The library is developped based on common language extension(CLE). So it can be called from c/c++, java, php, python, lua, c# language. IBDAC is a VCL/VCL.NET/CLX component library for fast direct access to InterBase and Firebird servers from Delphi and C++Builder. Includes full support for server data types and functionality, Disconnected Model and Local failover. ODAC is a VCL/VCL.NET/CLX component library for fast direct access to Oracle from Delphi, and C++Builder. Includes comprehensive support for Oracle functionality, including Oracle TAF, Advanced Queuing, and distributed transactions. PDF Split Merge ActiveX DLL is a powerful royalty-free PDF developer SDK used by hundreds of developers for working with PDFs on Split and Merge. Add a multilingual ASP.NET spell checker to your Web applications. Fast and accurate, inline and dialog spell checking. Visit keyoti.com for details. Avazurk.com .NET Barcode Reader, a library to read barcode, supports Linear (1D), PDF417 (2D), Data Matrix. CLE is a platform or middleware to support mixed programming of multiple language such as c++, lua, python, c#, java, php. It also defines common model to develop extensions which can be called in multiple languages supported. This site does not contain serial number, crack, keygen ASP.NET Organization Chart Component serial number : serial number is the simplest type of crack. A serial number(cdkey,product key,etc) is register the program as you may already know. a crack or keygen may contain harmful software. If you cannot find the exact version you want, just give it a try. for more information read .nfo/.txt/.diz file include in zipped file.